As you have been put in charge of managing a greenhouse construction project there are a few things that you need to think about before you begin. The first is that money and cash flow may be an issue that you need to take into account as you will need to set a deadline for the completion of the project so that you can plant your crops at the seasonally appropriate time. 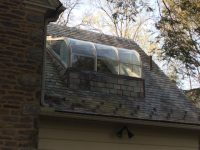 Getting a greenhouse contractor specialist that you can trust is very important. 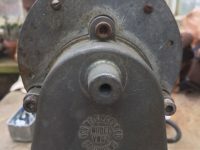 They will be able to use their extensive expertise to get the job done correctly and on schedule. You will need to think carefully about where the money comes from for the construction of your new greenhouse. You should finance it in a way that will still give a return on the investment in the short and long term and that you don’t run afoul of high-interest payments or debt that you cannot afford. By treating the construction of the greenhouse as a capital purchase you will be able to feel much more confident than if you use a line of credit or another payment method. General contractors may say all the right things when you’re planning the construction of your commercial greenhouse, but when it comes down to walking the walk they may lose their way. A contractor that specializes in the construction of greenhouses will be able to foresee any potential problems before they start to cost you money. As the team of experts that you will only find at a greenhouse specialist contractors will know there is no substitute for experience. With any large project like this, you need to ensure that the contractors, the supplier of materials and everyone else involved in the project knows what is expected of them and by when. Miscommunications can cause delays and force a project to go over budget. Having an experienced team of greenhouse installation experts will help to reduce the likelihood of this being an issue. There should be a work back schedule in place so that you can plan for a completion date well in advance and get growing as soon as you can. You should not be overly optimistic when it comes to planning for this date, however. If you are to 4-6 weeks. Plan for 6 weeks. If you have a hard crop deadline that you must absolutely hit, then you should discuss this with the greenhouse installation specialists as soon as you can during the planning stage as then they will be able to work to that deadline so that you can start to see the rewards from your commercial greenhouse installation as soon as possible. By keeping a close eye on when important stages in the construction of your commercial greenhouse are complete, you will be able to notice if you are ahead or behind on schedule very quickly. This will allow you to make changes and ensure that you hit the completion deadline should you need to. With so many moving pieces, it is possible that you may start to feel a lot of pressure to get the job done on time. 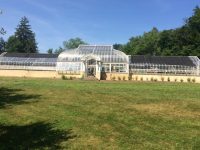 By hiring a team of professional greenhouse installation contractors you can allow them to manage the project and get the job done right and on schedule. 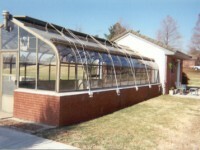 We provide greenhouse building, repair and restoration services throughout the continental USA & Canada. © 2019 Glass Garden Builders. All Rights Reserved.